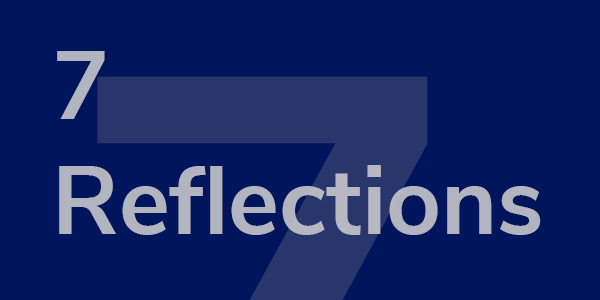 In our last blog we set out the landscape for engaging with reflection as a way of becoming more productive in the workplace and arguably more effective learners. This blog post discusses our proposed first aspect of reflection that is ‘Purpose and Intention’. As individuals, we have choices about what we want to reflect on, so it is not our intention to provide you with a list of suitable topics for reflection. We do, however, suggest you may care to think about the words ‘Purpose’ and ‘Intention’ as a way to help you to distill your daily experiences in a way that enables you to give time to an issue that would benefit most from some reflective practice. One of our favourite leadership thinkers is Simon Sinek and no doubt many of you may have seen his early Ted Talk on leadership. His key message is for us to think not about what we do but why we do it. This ‘why’ question resonates with the sense of having a purpose and in order to develop our sense of purpose, we should consider how our personal values align with this purpose. But how often do we think about our personal values or indeed are able to articulate them? As I write this post, I would be honest and say that if someone asked me what my personal values were, I could probably verbalize a few but do I know why these are important to me; for example, what could I learn about myself if I took the time to ‘unpack’ my value of ‘honesty’? We are advocating that people take some time to engage in reflection, particularly on what has been happening in the workplace and what lessons can be learned so that we can become more productive in our performance and our working relationships. In the working paper we mentioned in our previous blog, the authors suggest that engaging in reflection is having the intention to synthesize, abstract and articulate key lessons taught by experience. https://hbswk.hbs.edu/item/learning-by-thinking-how-reflection-improves-performance. So, as a starting point, take some time to think about your day’s experience; notice what surfaces as something worth thinking about and then think about that experience with intention; link it to your purpose and values notice what insights you gain and decide what, if anything, you want to do as a result.